Pangaea was a supercontinent that existed during the late Paleozoic and early Mesozoic eras, up until about 175 million years ago. 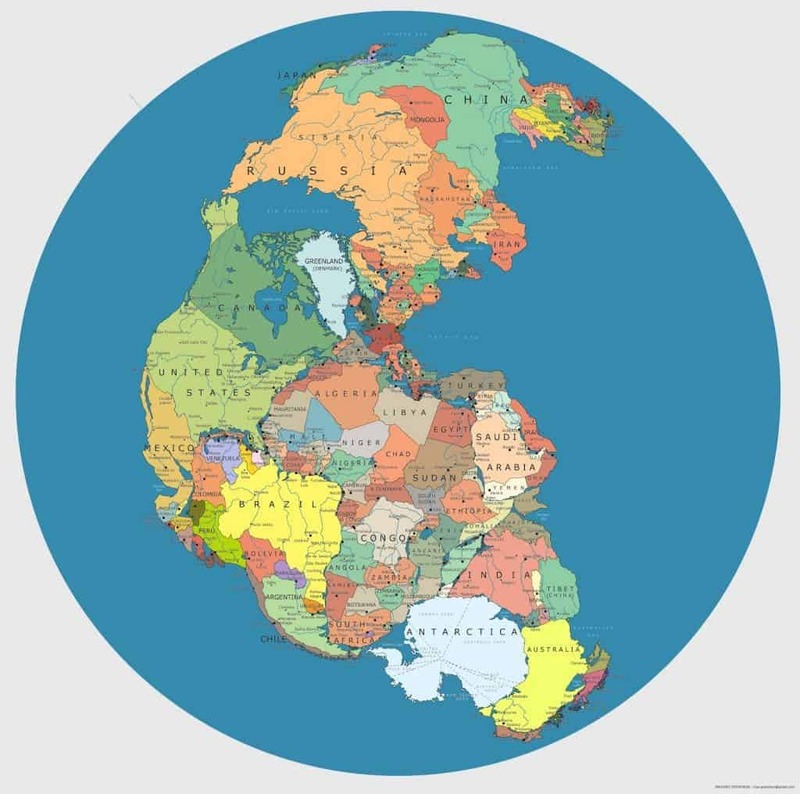 There is significant evidence to show that Pangaea existed, and how it evolved. For once, some fossils existed on continents that are now great distances apart. For example, fossils of the therapsid Lystrosaurus have been found in South Africa,India and Australia, alongside members of the Glossopteris flora, whose distribution would have ranged from the polar circle to the equator if the continents had been in their present position. Another evidence is found in the geology of adjacent continents, including matching geological trends between the eastern coast of South America and the western coast of Africa. A more direct evidence is paleomagnetism, showing that the continents were once together. With this (as well as many other geological and geophysical indications), we can now reconstruct this map. Today’s Spain was close to Greenland, Tibet and Australia were neighbors, and Africa and South America were closely hugging – as can be roughly seen from today’s coastline. This image shows that the Earth is not a static rock – but an active and mobile system.